This man had remained on the same spot helpless, hopeless, abandoned, rejected, impotent and unforgiven for 38 years! (That was even before Jesus was born). He had no man to help him. He stayed by the well of blessings and miracles for 38 years, yet all was not well with him. Many knew he had an ugly past. Some had forgotten about him. Most never knew who he was. To his family, he has been forgotten. To the society, he was no longer relevant. The Bible even never mentioned his name. But one day, Jesus was going to the Temple and stopped by to attend to him. He did not even know Jesus. Why would Jesus stop because of a man who had an ugly past? Why would Jesus stop because of such a man who never have faith to be healed nor ever knew Jesus? Why would Jesus stop because of a man who is unforgiving and unforgiven? 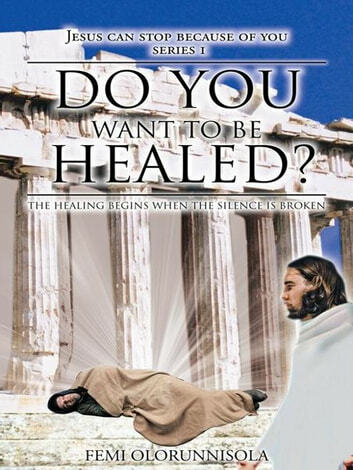 Jesus stopped and asked this man a simple but heart-searching question: DO YOU WANT TO GET WELL? This book is specially written for three reasons. To find peace in Gods forgiveness To find peace in forgiving others To find peace in forgiving yourself The healing begins when the silence is broken. DO YOU WANT TO GET WELL? Books related to Do You Want to Be Healed?